If you live and work in London it is all too easy to forget what a diverse and fascinating City it is. 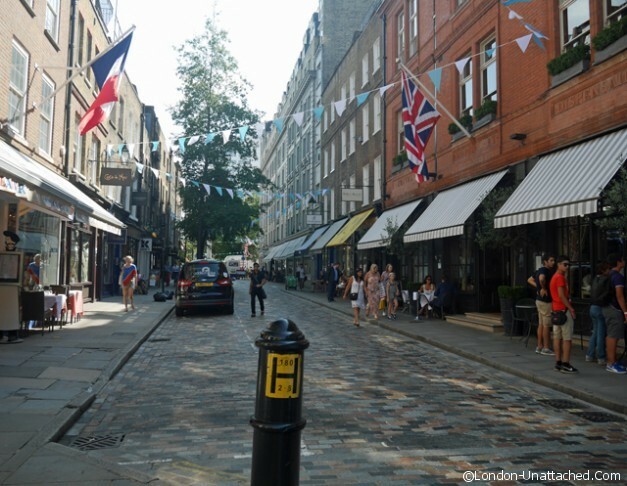 Taking an afternoon out to explore the Seven Dials area, just to the north of Covent Garden was a timely reminder for me. If, like me you love Liberty’s of London, this area seems to be almost like a deconstructed version of the iconic shop. 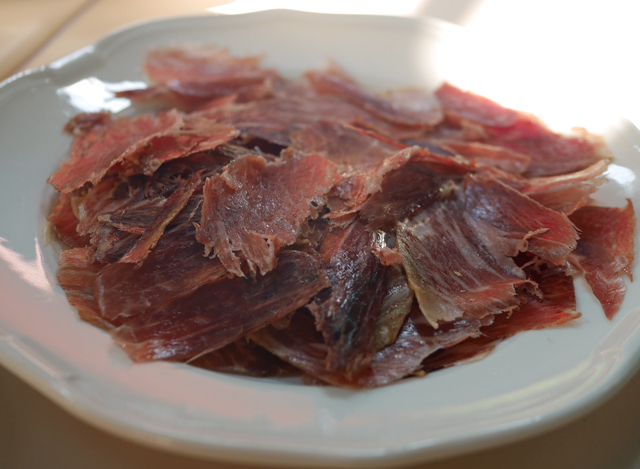 With a healthy smattering of restaurants and bars too of course. 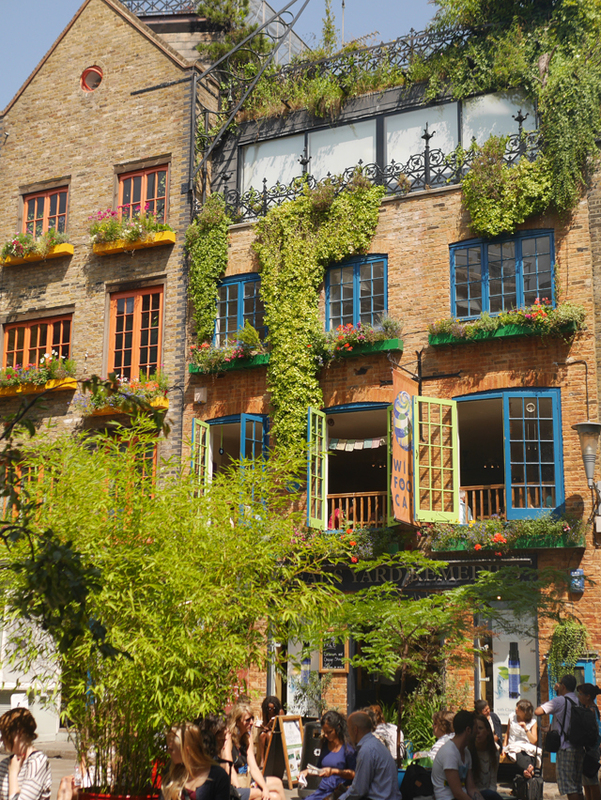 So, whether you are a visitor or live in London, take 5 minutes to walk away from Covent Garden and explore something quite different. Originally designed by Thomas Neale in the 1690s, the layout with seven streets running like spokes of a wheel from a central point was intended to maximise the number of houses which could be built and the rental income by ensuring that the frontage of the houses was as large as possible as that determined the rent during that period. The original central monument was designed and erected at the same time. The pillar was topped by six sundial faces, the seventh ‘style’ being the column itself. It was regarded as one of London’s ‘great public ornaments’ and the layout and identity of the area revolves around it. Although Neale intended to create an upmarket district, it quickly degenerated and was home to gin palaces and slums. 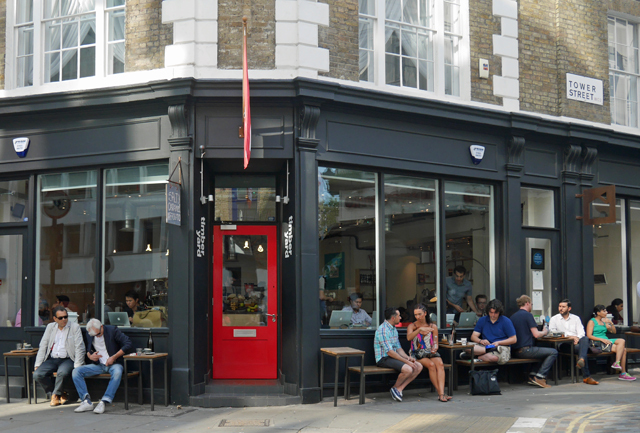 Seven Dials has kept much of the quirky and original feel that it had for me in in the 1970s and for the most part the newer shops and restaurants seem to fit in particularly well with the same ambience I remember. 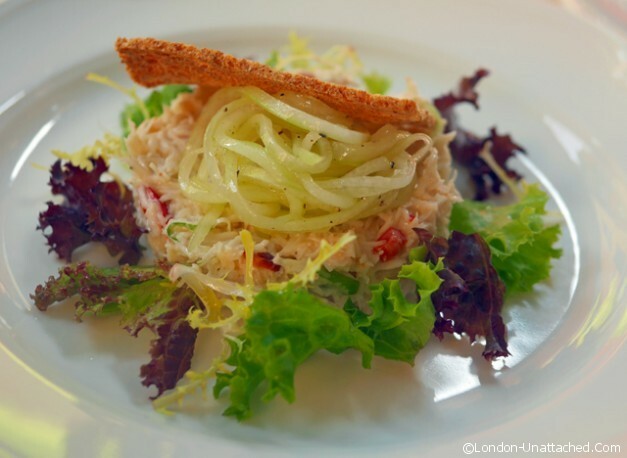 Meeting at Compagnie Des Vins Surnaturels, we enjoyed a lunch with a whole variety of bistro style dishes. 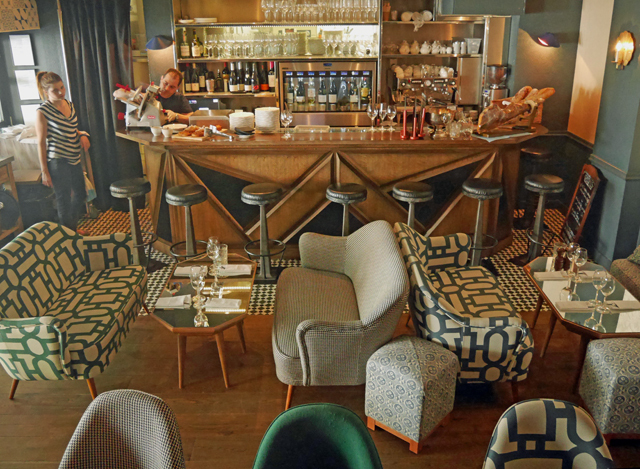 It’s from the same team that run the hugely popular Experimental Cocktail Club and in addition to the food and drink menu there are a regular series of tastings upstairs. It was food though that we were looking for, and we ordered a great selection of dishes. 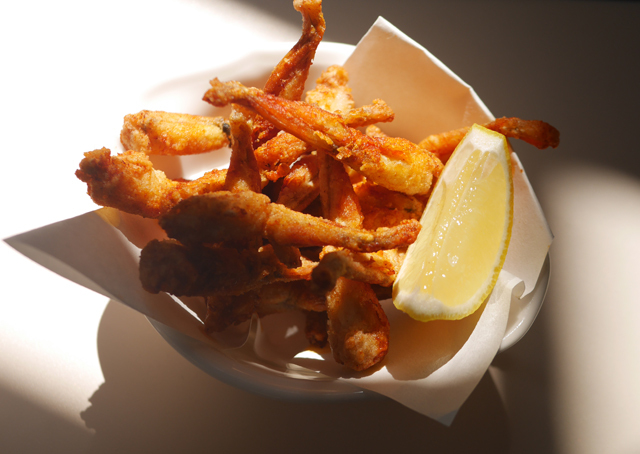 Mountain Chicken (frogs legs) were crispy tender morsels – I don’t try to visualise them raw, the taste is much more like poultry than any other kind of meat. 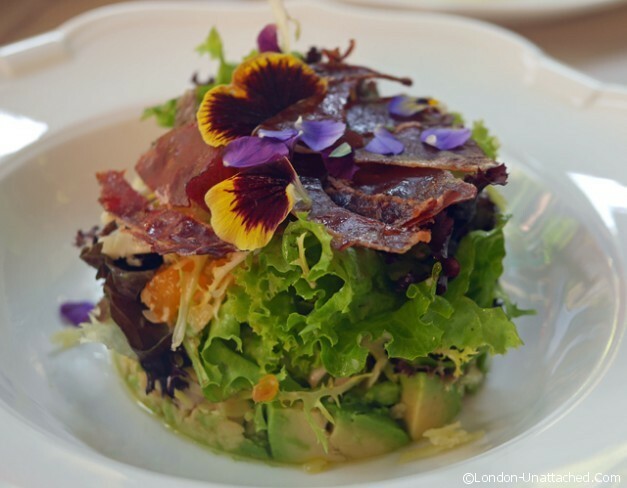 A Summer Salad was picture perfect, a tian of peach, avocado, Comte and Iberico. 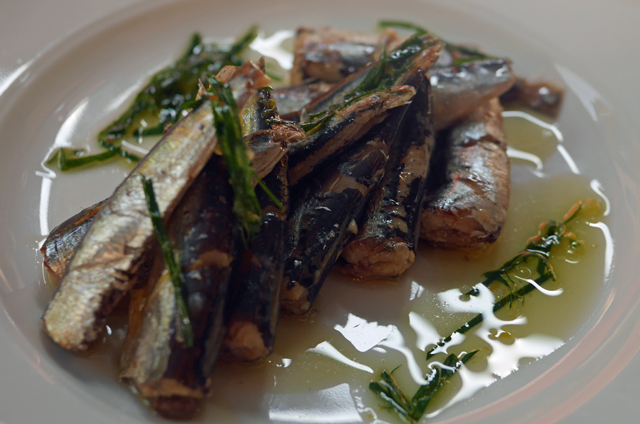 And Petites Sardines were tender, nicely flavoured and beautifully dressed. 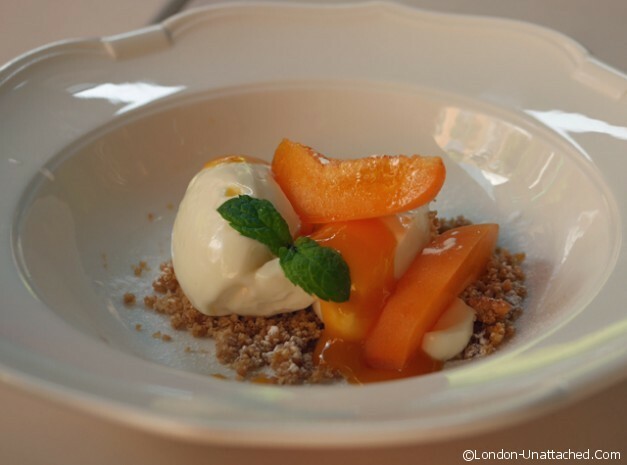 as well as the Apricot and orange crumble cheesecake. A really pleasant place for lunch – there’s a comfy lounge as well as plenty of outside seating. Typical of the restaurants and bars in the area, this isn’t somewhere with a lot of chains. Instead you’ll find places like Food for Thought, one of London’s first vegetarian restaurants, Flesh and Bones – a Japanese concept restaurant specialising in steamed hirata buns and sake and Kopapa from Peter Gordon, whose other London restaurant is Providores in Marylebone. 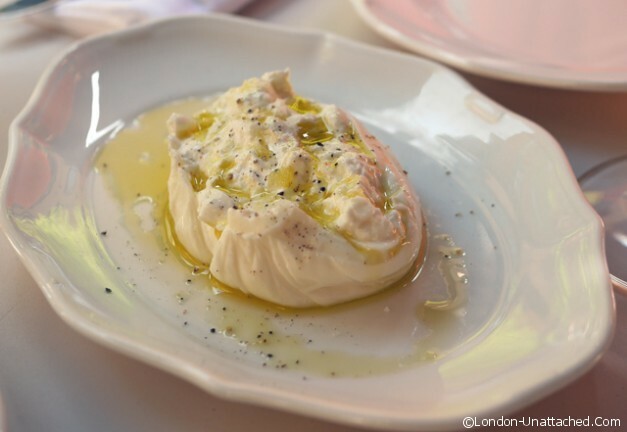 For the most part the quality is excellent and prices a little lower than in neighbouring Covent Garden. If you are looking for something very special, l’Atelier de Joel Robuchon offers Michelin dining with a difference while the Ivy has a heritage and A-List clientele that makes it worth a visit if you can get a table. I also love the 10 cases, a tiny bistro with an ever evolving wine list. 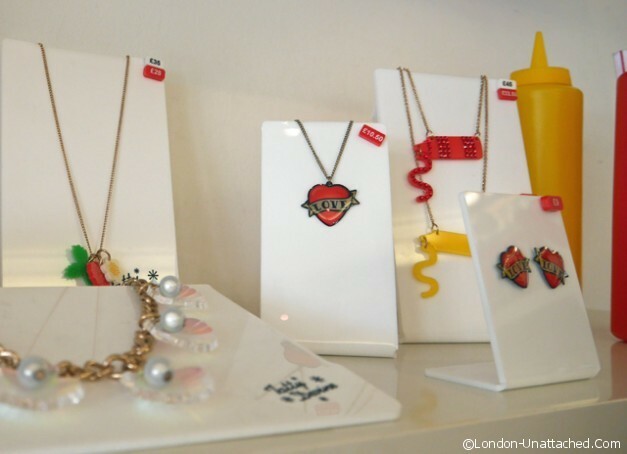 The shops in the area are similarly a mixture of quirky one-offs with a few larger chains. 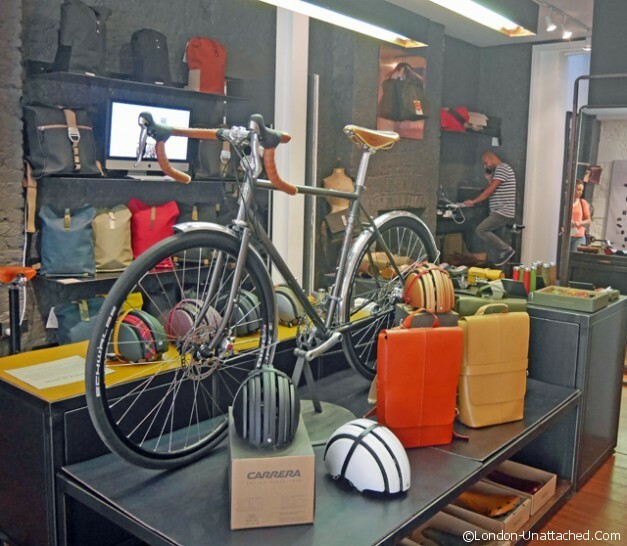 Even if you are not a cyclist, it’s worth popping into B1866 in Earlham Street, where you’ll find shelves of craft made british leather bicycle saddles and a range of cycle bags. 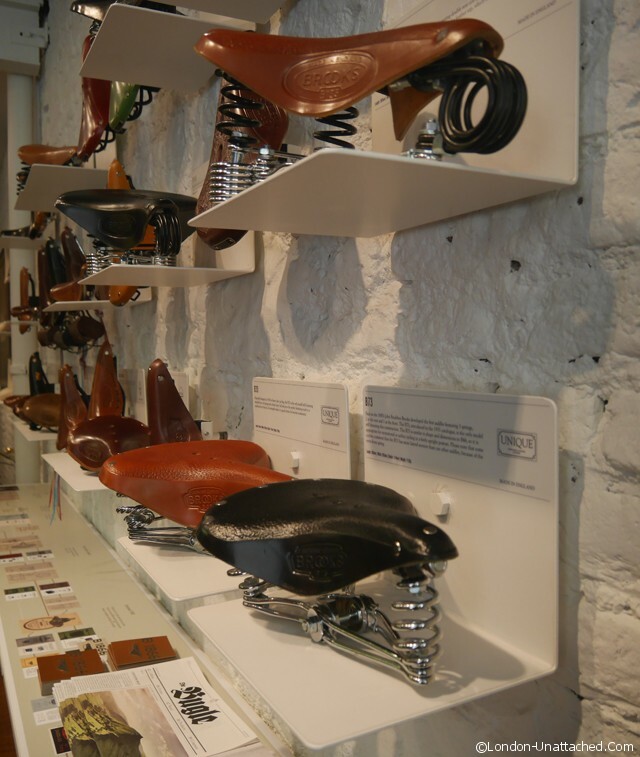 These are heritage products that somehow exemplify the English eccentric for me. Miller Harris is another great example of a charming British product. From a training in Paris followed by a spell at Robertet in Grasse, Lyn developed her own signature style. Founding Miller Harris in 2000, she has now developed a whole range of products to showcase her naturals collection of perfumes. 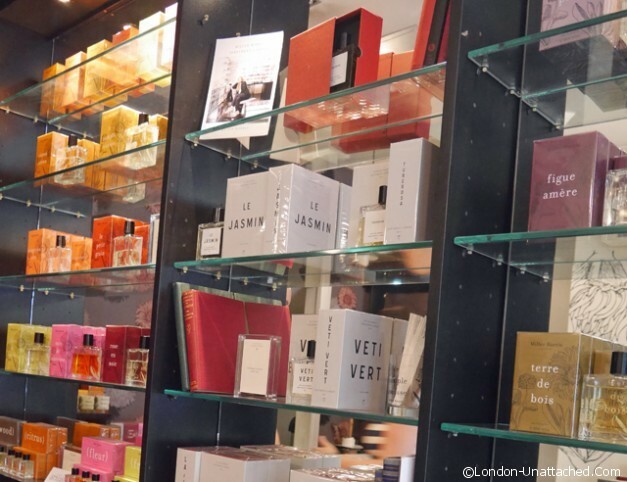 The shop itself on Monmouth Street is a charming eclectic yet stylish boutique showcase for her perfumes. Caudalie by comparison takes beauty quite seriously! Not in an unpleasant way, but there’s a feeling of commitment about the flagship store and boutique spa. 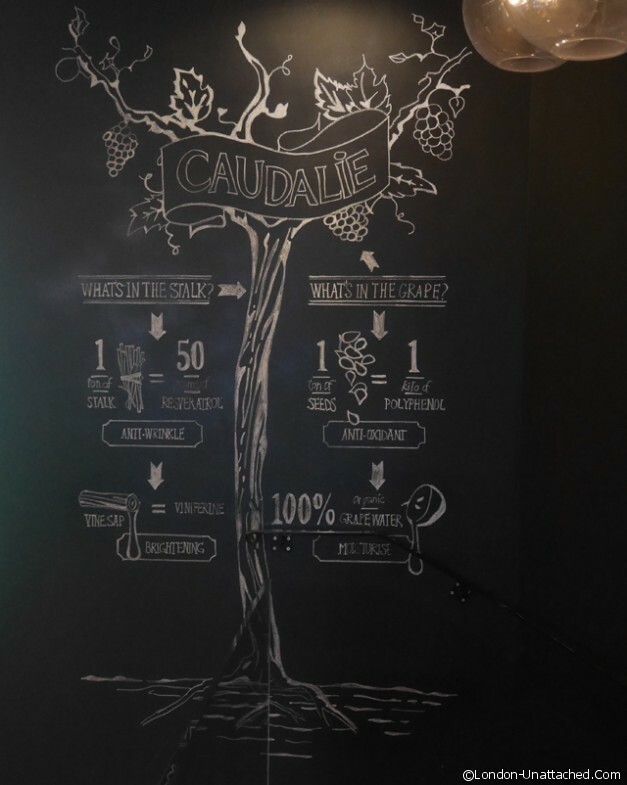 If many of the shops in Seven Dials are English in a slightly eccentric way, Caudalie seems to express the essence of France to me. Of course that might have something to do with the fact that their products are all based around grapevine extracts. Pop in for a mini facial and leave feeling revitalised and refreshed. Other than the shops and restaurants, Seven Dials is home to a few theatres including the Donmar Warehouse, one of the leading contemporary theatre spaces in London. While I’m not enough of a regular theatre-goer to have a favourite theatre, it is somewhere where I’ve never been disappointed in the show. Finally if you want to stay the night there are three hotels on Monmouth Street – the five star Covent Garden Hotel, a boutique hotel offering from Radisson, part of the Radisson Blu group and the Seven Dial Hotel – a small family run hotel. It’s good to find a part of London that hasn’t lost its identity to the multinationals. Of course there are still chains in Seven Dials. But, somehow the area keeps it’s own integrity and remains Essentially London. Gorgeous place! And that salad really does look summer picture perfect, as well as delicious! Thanks for sharing! How interesting Fiona. 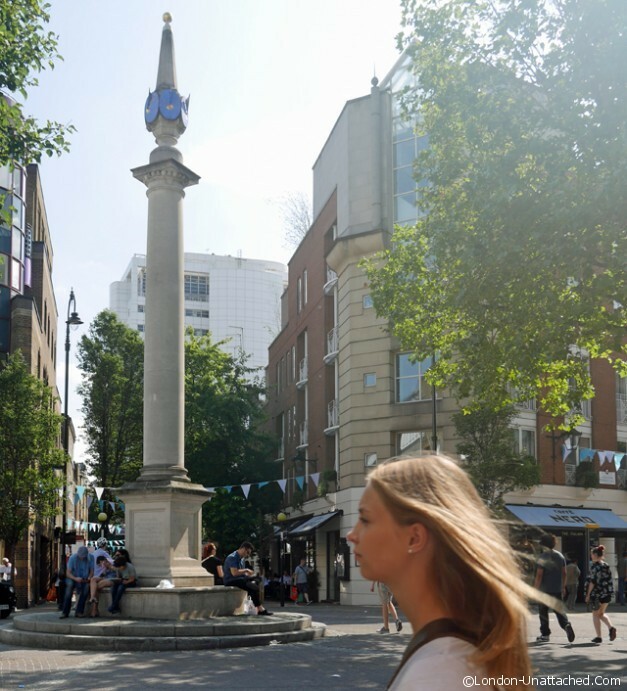 This is the first I’ve heard of the Seven Dials, even though I’ve walked the area regularly in the past – how ignorant we often are of places when we live there. 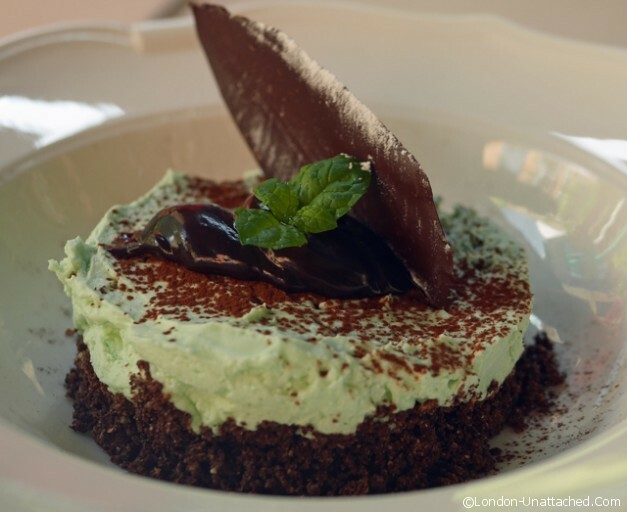 That chocolate and mint mousse looks rather good. all the food was rather good, the chocolate and mint mousse was quite unusual and very light! What a wonderful place with some very fine dining.I love the photos too. A fascinating post Fiona with some pretty stunning looking food too! This looks like a great place to eat and shop. What fun for you!! I’m ashamed to say that despite spending a lot of time in London, I have never been to Seven Dials, and it looks absolutely lovely. One to add to the to-do list. This looks fantastic, especially the food. I love the area around Covent Garden. Great post! I would love to visit this section of London..sure I have not seen it. The food is awfully attractive!! !